You can register here to join us in London on the 26th and 27th March 2019 for the 12th EFDN Conference at Stamford Bridge, the home of Chelsea FC. 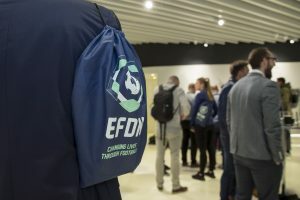 The 12th edition of the EFDN Conference coincides with the 2019 #Morethanfootball Actions Weeks which will be the theme of the event. 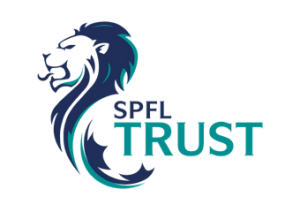 #Morethanfootball being the EFDN, UEFA foundation for Children, ECA, SPFL and Pro League supported campaign aiming to unite the entire European football family in showcasing the positive impact that community and social responsibility activities have on a local, European and global level. The 12th EFDN Conference will again bring together leading practitioners from across Europe in the field of football based CSR to discuss, debate and learn about new trends and challenges, find solutions and ultimately work together to strengthen the social power of football. Information on how to best get to the stadium and access the Conference venue can be found here and for details of the preferred hotel partner for the event see the Accommodation page. 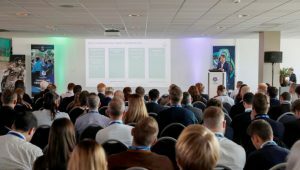 Keep an eye out for the full lineup of speakers and programme will be announced in the coming weeks however confirmed speakers to date include Chelsea FC, PAOK FC, AEK Athens, the Premier League and EFDN with participants also from Feyenoord, KAA Gent, Vitesse Arnhem, Everton FC, Montrose FC, IF Elfsborg and Ferencvárosi TC. EFDN Members have access to free passes as per their membership package and can redeem them by completing the Registration Form. Additional passes are available to EFDN Members for €175 per additional person. Non-EFDN members can purchase Early Bird Full Delegate passes, with access to both days, for € 275 per person until the 25th February. Alternatively, one day Delegate Passes are available for 26th March (€250) or 27th March (€200). To Register and make payment for non-EFDN member or additional EFDN member passes, make payment through the Registration Fees and Payment page. The delegate passes include conference participation, local transport to the study visits, network dinner, lunches and coffee breaks.